You love providing gifts to those who are in desperate need of showing love. However, you don’t enjoy the financial aspect that comes with owning a gift shop. 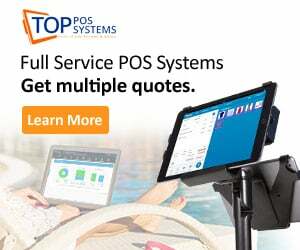 If you want easier accessibility and management of your store’s finances, you should consider investing in the best gift shop POS system that market has to offer. When you purchase the services of a gift shop POS system, you’ll be able to reap many benefits. This includes analytics and sales reports, organized orders, customizable discounts, and streamlined accessibility when it comes to your finances. One of the most important aspects of choosing the best gift shop POS system is to choose one that caters directly to your type of sub-industry. When you go for a point of sale system that ensures organized finances of your specific niche, you don’t have to worry about dancing around specific features or “making it work” when it already should. Because of this, we believe that GiftLogic is one of the best gift shop point of sale systems on the market. 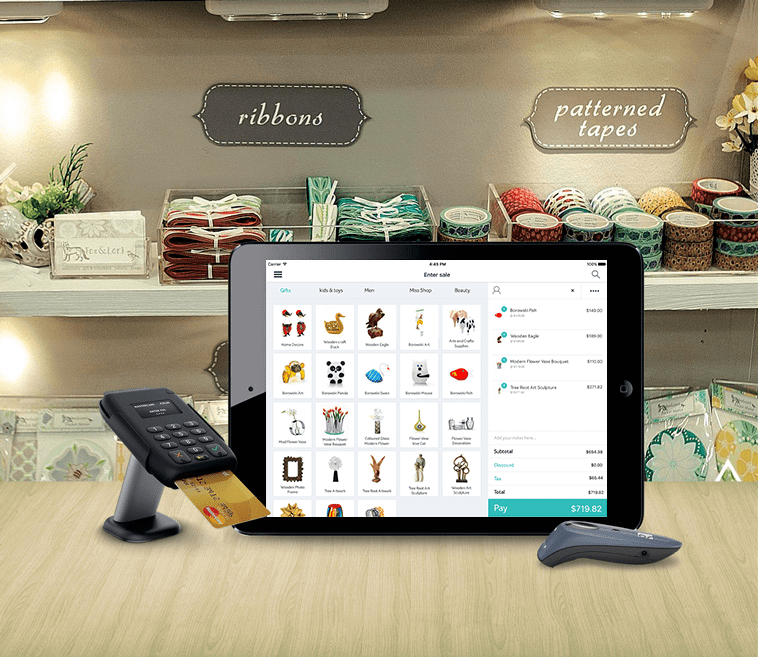 Not only are you able to receive a point of sale software that directly deals with gift shops, but you won’t have to work around specific features, as it’s already catered to you. GiftLogic is a fantastic gift shop specific point of sale software that streamlines user accessibility and the user interface to provide faster processing and usage. Let’s face it: we’ve all been standing in a line somewhere (whether at a grocery store or a gift shop) and have wanted the line to speed up a bit. When a program or service is too hard to use, it’s likely that you’ll be sending quite a few customer service reports in order to receive answers. When you have a point of sale interface that doesn’t require explaining, you don’t have to waste time learning, and you surely won’t have to send any customer rep reports and receive some support. With the GiftLogic interface, you’ll be able to use the quick access bar with ease, take advantage of the easy searching area for specific items, as well as add to your inventory within seconds; however, these aren’t the only things offered when you take advantage of what GiftLogic has to offer. Since you dislike contacting customer service as much as the next person, you’ll want to make sure that your customer relations are excellent. In order to create the perfect experience for your customers, you’ll also be equipped with a customer relation management system upon purchasing this point of sale service. Within this, you’ll be able to use the MailChimp mass email feature, look into various purchase history, utilize a loyalty program (built into the point of sale system), look at house accounts, and many other tasks that connect you with the customer. It isn’t all about taking money and inputting proper orders, as you have a reputation to uphold. There’s nothing worse than trying out a point of sale system that doesn’t allow you any control over your inventory. Thankfully, GiftLogic excels at giving you full control over your inventory, allowing you to utilize a PurchasePal reorder system, volume pricing, product images, scheduling discounts on products, and much more. Who wouldn’t love to be given full access to something they never knew they could use within their store? This and more can be yours all for an affordable price. Being such a flexible and secure point of sale system, we can’t tell you enough how much we love GiftLogic. Using a local encrypted SQL database for an even greater amount of data security, once your customer swipes or uses their card online, you’ll be able to promise the greatest security possible. It’s also worth mentioning that this software is quite flexible, and can be tailored to your retail environment – whether virtual or an established location, you’ll be able to manage your orders, inventory, and finances with ease. Even small, local businesses can reap the benefits that GiftLogic has to offer, allowing you to stay more organized and grow as a company. Remember those ideas for the store you had when you first started? You’ll be able to finally accomplish those as you utilize a point of sale software that makes your job a lot easier. Lastly, we love the supportive and friendly environment that GiftLogic has to offer customers. You won’t have to worry about shoddy customer service, and your questions will be answered with professionalism, friendliness, and by a knowledgeable staff member. This customer service option is available 24/7. Next on our top three is an umbrella point of sale system that offers quite a lot for both small and large businesses alike. Learn how to maximize your profit and streamline transactions when you invest in a point of sale system like Shopkeep. When you own a busy gift shop, you’re going to want to grow your profit margins, maximize said profit, and speed up transaction times for those that are in line. There’s nothing worse than not being able to provide an acceptable payment method for someone who walks into your gift shop. For those that work in a hospital gift shop, imagine that this person drove for more than an hour or two, only for them to find that they’ll have to drive somewhere else in order to purchase a gift for their loved one in the hospital. Thankfully, ShopKeep utilizes all payment methods, allowing you to accept all major credits, EMV chip payments, payments from a customer’s mobile phone, and of course – cash. If you want to try something without committing too much, ShopKeep has solutions for you! You can pay-as-you-go, which is where they excel and are much different from other point of sale solutions. For one price per month, you’re able to reap a ton of features, benefits, and specifications. Monitoring employee shifts can be an incredibly important feature for any POS. For instance, you can tell which employees are most effective and how many hours everyone is working on average. This improves many points of your store. If you have a customer who comes into the store and is upset, your POS can allow you to fix the problem. You can see which employee originally took care of that customer. Sometimes this means the employee can remedy the problem more easily. Sometimes it means that you know which employee may have caused a problem. A huge benefit to Shopkeep is their offline feature. You can still input transactions even if you have no internet or power. Additionally, you can access this data even if you are offline. If you live in an area where power outages are common, rest assured your data is protected. Let’s not forget about other features like gift card integration for those that want to go above and beyond with their gift, selling even when the service is offline, and keep tabs on your employees when you’re not there or when the shift has ended. You won’t have to miss anything when it comes to providing for your customers and making sure everything is tight-knit within your company. Want a point of sale system for your gift shop that doesn’t require a massive upfront payment to use? If so, you may want to check out CashierLive, an inexpensive point of sale system. CashierLive offers “pay as you go”. However, if you want to save money, you can try a month, and then receive a discount for prepaying for an entire year. One of the primary benefits of using CashierLive is that you’ll be able to reap the benefits of a tight security system. CashierLive maintains a PCI Service 1 accreditation, and the company receives a type of routine audit from agencies for compliance of their security measures. You don’t have to worry about your customers not receiving the best personal security when they shop from your store. You might be wondering how the 2.7% fee is taken from you if you’re on the standard plan. The 2.7% fee is taken from your bank account at the beginning of the month and is only taken once a month. There are no hidden fees and no recurring deductions from your bank account within the same month. A huge benefit of CashierLive is their customer service. 24 hours a day, 7 days a week, you can contact a live person. This means that even when you are at your busiest, you can reach someone to fix your POS. However, if you want to make sure your employees can fix your POS, CashierLive has many tutorials. You can have your employees trained on many POS elements, allowing you ease of access. When you own multiple stores, you want one POS to run all of the locations. With CashierLive, you can keep track of each store’s inventory on one POS. You can also set up sales to run at one store or all of your stores, through simple processing. You can use your mobile phone as a register, or any other type of device like a tablet, computer, and more for access reports and ringing up your sales; yes, you can use your mobile phone as a register! When you purchase the basic plan, you have unlimited registers, and won’t have to pay extra fees for this option. Additionally, it is important to emphasize that any operating system can be used to connect with this POS. Whether iPhone or Android, you can access your POS system with any mobile device. This next fact about your membership could be an advantage and disadvantage all wrapped up into one. While they don’t offer credit card integration CashierLive will match or beat their price. In doing so, this allows you to pay the same, but have even better integration solutions and options. 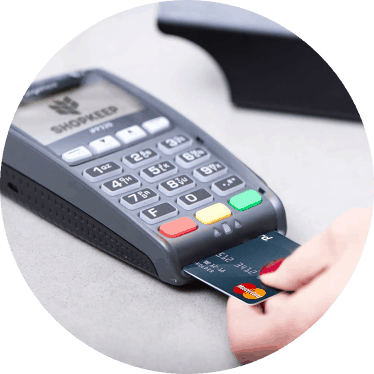 Allow your payment processing and customer satisfaction to be seamless when you choose CashierLive’s credit card processing solutions. 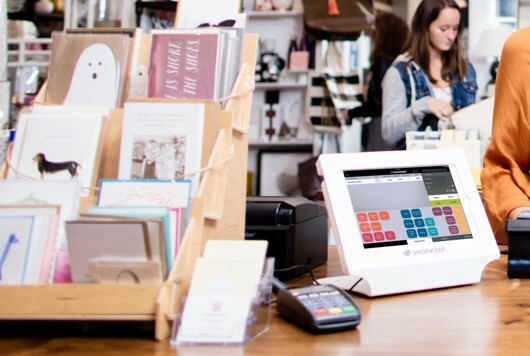 Now, let’s take a look at why you should invest in a gift shop point of sale system, if you weren’t already sold on the aforementioned software. Gift shops may be seen as a quick place to pick up an item for your loved one. Gift shops, like any business, have many moving parts. From managing inventory to scheduling employees, it can be difficult to handle it all. Thankfully, the right POS system can allow you streamline your operation and improve sales, using a handful of features. Keeping up to date with your inventory is crucial. Knowing what you have more of in the back as opposed to what is out of stock can save you a sale. Gift shop POS systems will allow you to see how different products are selling. You will be able to automatically restock any hot selling product once its inventory reaches a predetermined amount. Automatic restocking will save you time and effort. This simple feature can save you hours of doing inventory. With more time on your hands, you will be able to focus on other more pressing matters. Managing your books is not always a fun and easy task. This chore becomes much less stressful with a reliable gift shop POS. To be successful in this business, you’ll want to know which items sell best. Is it the teddy bears? Maybe a certain set of candles? This information will let you know which items to restock and which to drop. Ideally, you want your POS system will also update your inventory in real time. This way, you can be up-to-date on your current revenue and make projections or plans to improve. Features like these will help your day to day operations go off without a hitch. An easy to use interface can save you and your employees hours of frustration. Lucky for you, ShopKeep, offers just such an interface. ShopKeep’s POS system is easy to use and even easier to navigate. It will take only mere minutes to teach your employees the ins and outs of the system. Shopkeep even offer 24-hour assistance if you do come across an issue. The POS they offer can be customized exactly how you want it. This can lead to faster checkouts. Faster transactions cause shorter lines and make customers happier. Scheduling employees may not be the most glamorous part of the job, but it is essential. With POS system like that of GiftLogic, this menial task can be done in mere moments. GiftLogic uses an easily understandable interface. Through this software, you will have access to a calendar that is highly customizable. You can edit and change shifts at the touch of a button. You will also be able to see your employees punch times as well as who operated the register for any given transaction. You may not think of little things like this when running a business but having these tools at your disposal will help make your day that much easier. Upselling can take a sale from a few dollars too much more in a matter of seconds. 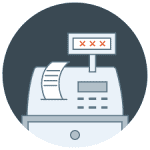 With a gift shop POS system, you will be able to upsell your customers easily. You can auto prompt a register to display an upsell depending on what the customer purchases. This will allow a customer who is buying a gift to see something related that they might also be interested in. Utilizing a gift shop point of sale system means that you not only care about the customer, but you also care about how organized your company is. When a company doesn’t get behind the organization and efficient management, they tend to go downhill. POS systems offer greater security solutions for a small mom and pop shop. This will also allow those who visit to try you more automatically. When you’re capable of giving customers security, you’re able to deliver on product pleasing and secured shopping. Depending on what devices you want to work from will ultimately determine which point of sale service you purchase. If you want a stress-free connection to work for monitoring purposes, you can use your smartphone with some point of sale services. You can do all this without stepping into work! Reap the benefits of going wireless and still keep tabs on your employees and your customers. As you may have already seen, we really love what GiftLogic has to offer. Not only are you able to utilize customer relations management options, but you’re also able to have better credit card processing. You will also have a secured SQL database for a more trustworthy experience, and consignment and gift registry options. Also, integration solutions for payroll deductions, email marketing, e-commerce solutions, and much more. With a seamless user interface that streamlines customer and staff experiences, your company will be incredibly well managed.